Google Pixel 2 and Pixel XL 2 Launched,Price, Specifications and Features . : Google is all set to launch all new Pixel 2 series. Just like the prevoius Year flagship, The all new Pixel will come in Premium Smartphone Category and will offer premium Specifications and Features. Google is also planning to launch more products other than smartphone in India. Google Pixel 2 will compete with Samsung Galaxy S8 and iPhone 8 whereas Google Pixel XL 2 will compete with Samsung Galaxy Note 8 and iPhone 8 Plus, X. LG , also a smartphone manufacturing company has made up the Pixel XL 2. Whereas Pixel 2 is Made by HTC. Google Pixel 2 will be powered by Qualcomm Snapdragon 835 octa-core Chipset. Pixel 2 is also expected to feature 4GB RAM. Coming to the Storage, Pixel 2 will come in two variants, 64GB AND 128GB. The Smartphone will bear 16:9 aspect ratio. Pixel 2 will come with 5.0 inches of AMOLED Display with resolution of 1440 X 2560 pixels. Pixel 2 will also feature Corning Gorilla Glass 5 as a protection. Coming to the camera , Pixel will come with a 13MP Primary Camera and 8 MP Secondary Camera. Coming to the Battery , Pixel 2 will come with 3,000 mAh Battery. 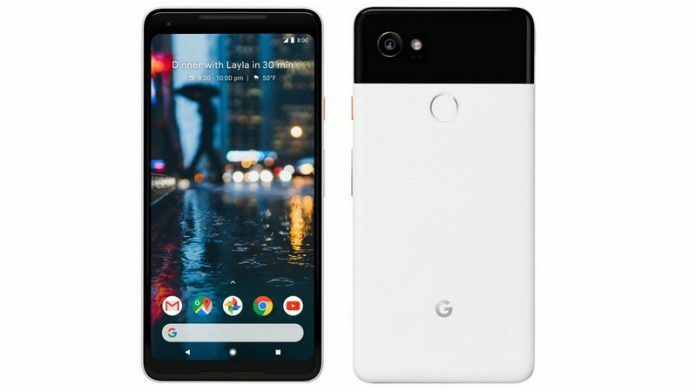 Google Pixel 2 will also get all the connectivity features, like Fingerprint sensor , 4G VOLTE , GPRS etc. All new Pixel 2 will be manufactured by HTC. Google Pixel XL 2 will come with a 6.0 inches of Bezel-less display, with the resolution of 1440 X 2880 Pixels, and the display will be covered by Corning Gorilla Glass 5 protection. Performance wise, XL 2 will be powered by Snapdragon 835 Chipset, which is an octa-core processor, with Adreno 540 GPU. Coming to the Camera, Pixel XL 2 will come with 12.3 MP EIS Primary Camera and a 8 MP Front Camera. Coming to the Storage, Pixel XL 2 will come in two storage variants, 64GB and 128GB . Battery, Pixel XL 2 will come with 3,520 mAh Battery Capacity , which is less as compared to the screen size. Additionally Pixel XL 2 will be Splash and Dust resistant Device. Pixel XL 2 will also feature, all the basic connectivity features like fingerprint sensor , 4G VOLTE,NFC etc. Google Pixel 2 is an premioum device, it will come with a price of $649 or Rs. 42,000, and 128 GB will cost $ 749. It will compete with iPhone 8 , S8 etc smartphones. Google Pixel XL 2 will be latest flagship by Google, it will be priced at $ 849 for 64GB , Whereas 128GB Variant will be priced at $949. Pixel 2 and Pixel XL are the premium devices , They are expected to be Priced a little more than the foreign countries. Pixel 2 is expected to Cost Rs. 48,000 for 64GB wheras Pixel XL 2 is expected to cost Rs. 58,000 for 64GB Variant.